Announcement We are going away soon. Mid April to early May, packages will not be shipped until we return. No custom orders are being taken at this time. Welcome to Miske Miniatures. 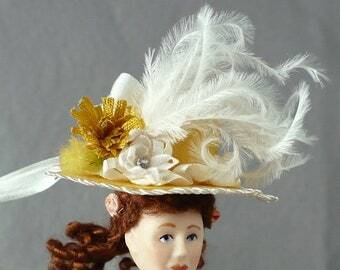 We make a variety of Classic and Specialty historical period hats. Silk, ultrasuede, and felt are our favorite fabrics for creating these charming 1:12 scale miniatures. A quick rule of thumb - most of our hats can be worn by a woman's thumb! 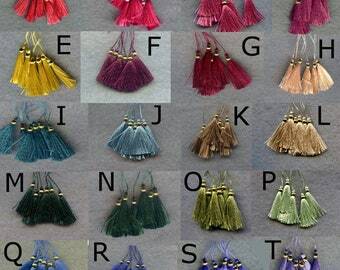 We also have our line of silk tassels in 2 sizes for all your miniature and crafting needs. Our other dollhouse miniatures are varied from a traditional feather fan to a pop culture fix like our no-batteries required light saber! 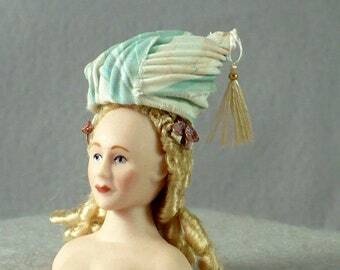 Start a fashionista down a miniature road with a collection of our stylish miniature hats! 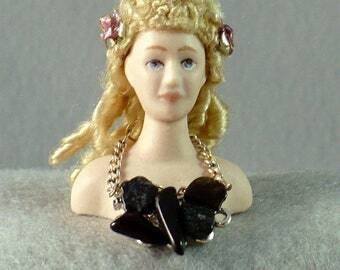 Or charm your youngest with just a little something special for their dollhouse. And if you are redecorating, add our silk tassels to your room decor to make it shine. 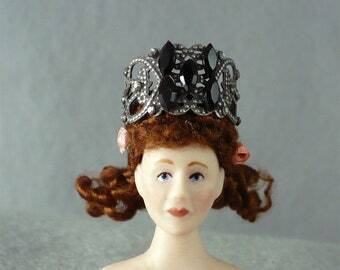 Let us know what else you might like to see here at Etsy. Thanks for your interest in our miniatures. We are going away soon. Mid April to early May, packages will not be shipped until we return. No custom orders are being taken at this time. Back in the day, people had a Christmas Savings Club. You put money in every week and in December, the bank gave you the $50, $100 etc. that you had saved. Well, it was a small town bank and they knew my family. So, the bank let Grandmother cash in our Mother's Christmas Savings. She promptly went and bought me a dollhouse with it. It was only fair of course, since my sister had gotten one the year before! Show and Tell at school was hard. So many little things to take and show off. We packed them carefully in a pantyhose egg. A lot of miniatures can fit in those things! Our Grandfather built the kits. Our Great-Aunt made the curtains. Our Mother picked out furniture. Grandmother got the dolls and wall papered. It was a family project that gave my sister and I years of pleasure. We are a crafty family - sewing, embroidery, crochet, ceramics, all sorts. Some of it seems to have rubbed off, and so here we are. We hope our miniatures excite you and future miniaturists. Enjoy!